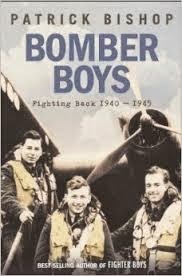 A really brilliant read about a contentious aspect of the Second World War, Bomber Boys is an account of Bomber Command and later the entry of the USAAF and their offensive against Germany. Bishop provides intimate detail of the effects of bombing on civilian populations, with especial reference to Coventry in the earlier part of the book, and later the devastating bombing of German cities, most notably Hamburg, Cologne and Dresden. He doesn't shirk from questioning the morality of the Allied response and is fair in his treatment of 'Bomber' Harris, but the bulk of the book concerns the detail of the double lives of the crews, with hours of inactivity and poor living conditions interspersed with sudden bursts of high intensity and very dangerous operations. Why any young men volunteered to be air crew is testament to the resilience and willingness to serve of a previous generation. We may respect and admire our armed forces dedicated service in modern day Afghanistan, but the relatively small number troops and even smaller proportion of casualties currently are as nothing compared to our loses in Bomber Command. Bishop provides fascinating detail of the day to day life of our airmen (and our fewer air women) when not on operations, and the rather sad way that their contribution to hastening the peace was often not recognised during the war. 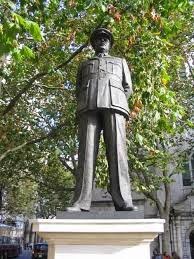 Particularly poignant is Churchill's failure to mention the contribution of Bomber Command when thanking various parts of our armed forces after victory was secured, and there is balanced material on the fallout after the war and the long battle to show gratitude, encapsulated in the erection of a statue to 'Bomber' Harris in central London as recently as 1992. An important part of our history. Well told in an understated and interesting way.